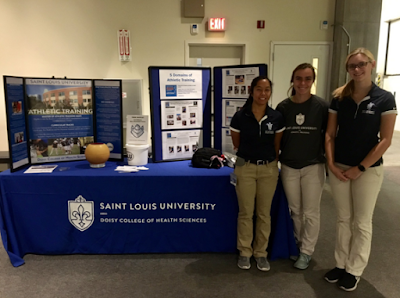 We had a great time again at HealthFest this year! 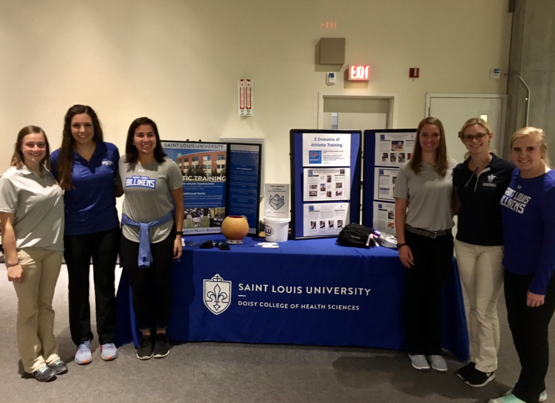 Every year students from the Saint Louis University Athletic Training Program participate in this event, hosted by the St. Louis Science Center, to help children and families experience health and science with hands-on experiences. We had tons of fun running through an obstacle course created with various rehab tools. Children ran through an agility ladder, cones, mini hurdles and worked on balance. 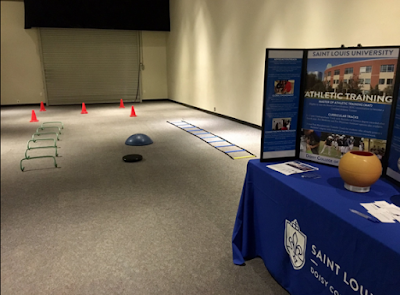 Not only did the children have fun, but parents were able to try some of the rehab activities as well. 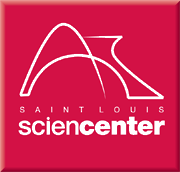 We were able to educate the parents on how to incorporate some of our activities in their children’s life and make it enjoyable for the family. 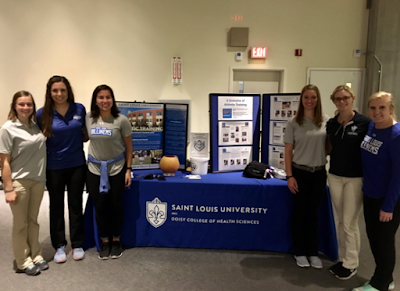 A team of athletic training students from freshman to PY2 years were able to work collaboratively to teach HealthFest 2016 attendees about athletic training and run through the obstacle course with the children. Plans are already in the works for next year's HealthFest, which will be rebranded as "Healthy U", next year!